Craig has over forty years’ experience in logistics and information services management. 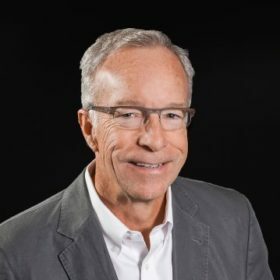 An early innovator, he has founded 8 successful supply chain and related technology companies including LeanLogistics, Inc. and Total Logistic Control in Holland, Michigan. LeanLogistics created a revolutionary web-native On-Demand Transportation Management System (TMS) utilizing the Internet to create a real-time, on-line collaborative environment for shippers and carriers. They developed patented Software as a Service (SaaS) technology for shippers and carriers to proactively manage their entire supply chain from planning to execution and settlement. In 2008, Craig sold the company to Brambles Limited, an international public company providing global supply chain support services. After experiencing challenges in obtaining expansion capital in his own operations, he co-founded the Grand Angels in January 2004. He is an active mentor, angel and venture capital investor and is actively involved with the technology startup culture in West Michigan having just launched the Grand Rapids Tech Hub. Craig earned a Bachelor of Science in Industrial Engineering from Purdue University. He is a director of Nucraft Furniture Company, Alpena Power Company, the Behler-Young Company, Cascade Engineering, Comfort Research, the Grand Valley Research Corporation, Lakeshore Advantage, NewNorth Center for Design in Business, Oversight Committee of the Michigan State University Bioeconomy Institute, Past Chairman of the Michigan Chapter of Young President’s Organization (YPO) and Founding Director of the Grand Angels. In 1985, Craig Hall was honored with the Small Businessman of the Year award from the Greater Holland Chamber of Commerce and in 2003 he was honored as one of the Top 20 Logistic Professionals in the country.